This year two Town & Country kitchens will be featured on the VNA Holiday House Tour. Check out our kitchen designs on Rumson Road, and Osprey Lane! The Holiday House Tour will take place on Friday, December 1, 2017 from 9:30AM – 4:30PM. The tour will feature magnificent homes in the Two River Area of New Jersey. All proceeds from the event will support Visiting Nurse Association of Central Jersey’s Hospice Program. For more information, please call the VNA Foundation Office at 732-224-6780. Thanksgiving is around the corner, and you know what that means- kitchen time! 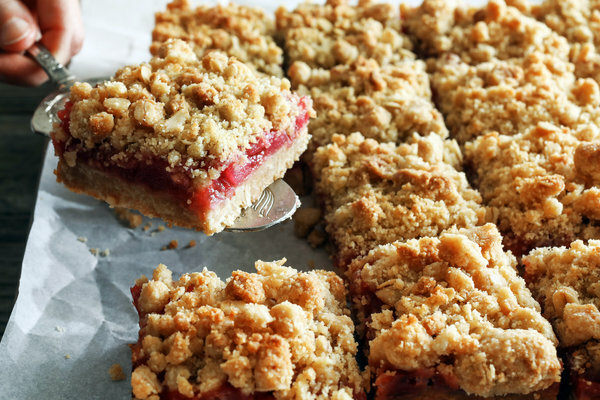 We’re trying a few new recipes to spice up tradition, this year by adding these Cranberry-Pear Crumble Bars to the dessert table. Heat oven to 350 degrees and line a 9×9-inch baking dish with parchment paper.